How did that happen? 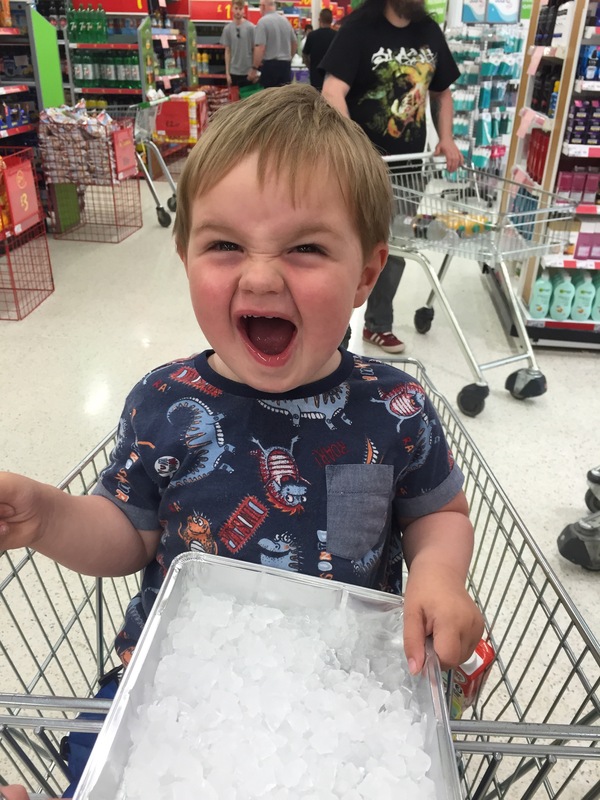 How did 2 whole years pass since I actually, naturally gave birth to this delightful little boy? It really was a ‘blink or you’ll miss it’ time. I’m so glad I work part time now. Friday’s with Finn are lovely. Mooching, shopping, playing, reading, relaxing together is time I won’t get back. I wish I’d done it when Sam was young but financially it just wasn’t feasible. I didn’t realise what I had missed until it was too late. I will publish Finn’s birth story at some time. 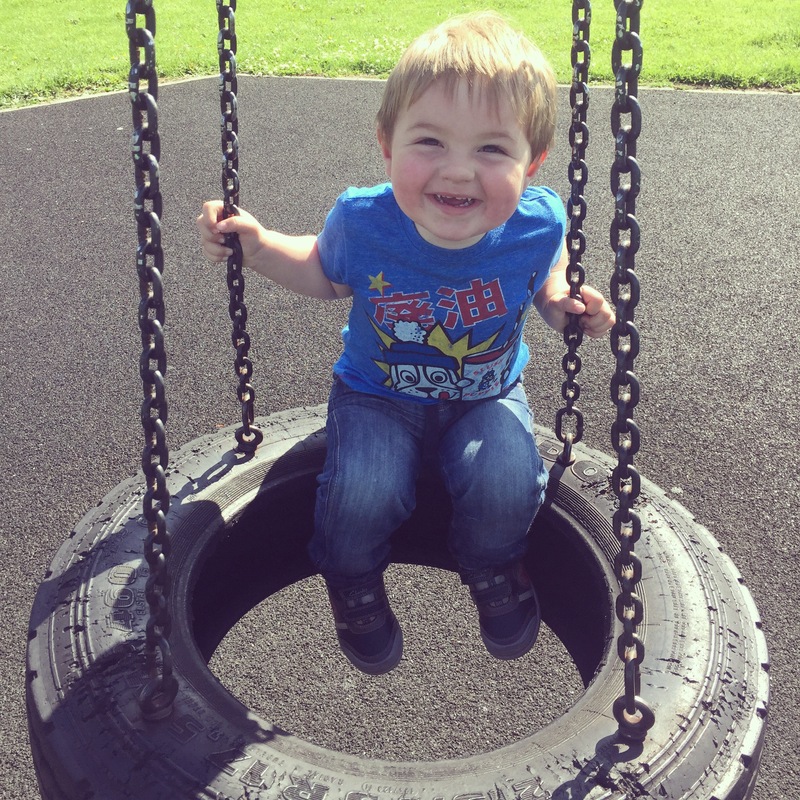 I don’t know why I’ve waited so long, I published Sam’s not long after I started this blog. That was more of a cathartic experience though rather than documenting it for posterity. I had an awful emergency c section & had planned a section with Finn. 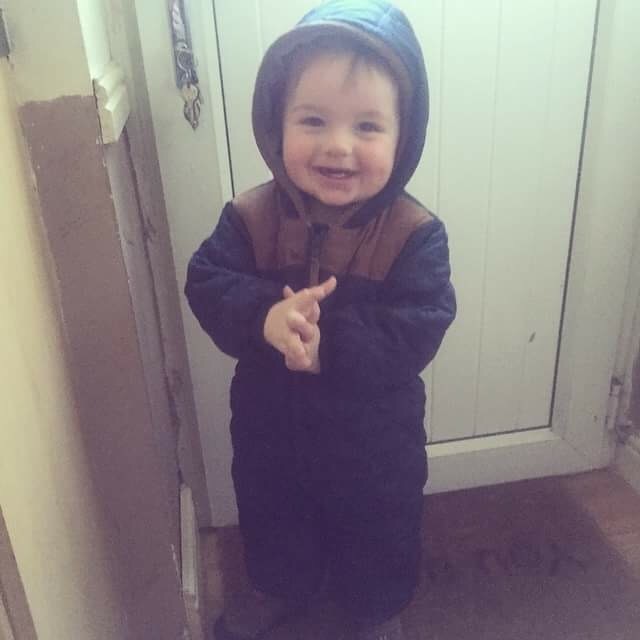 Fate intervened though (or the two self sweeps I had performed – possibly not wise) and my waters broke naturally at 3am one Monday night a week before he was due. 23 hours later he was born. A wonderful, painful but empowering experience that did a lot to heal my heart. Maybe that’s why I haven’t published it. I like to read it and have a little cry. I did it! 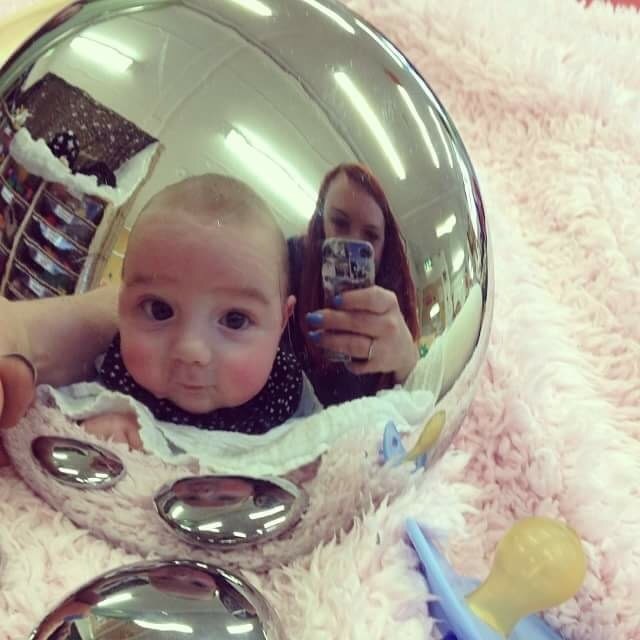 I birthed this almost 9lb dumpling who has lit up our lives with his near constant smile and completed our family. Happy 2nd birthday Finnbo Baggins. You are very much loved. Finn’s obsession with the washing machine has reached new heights: he now pretends to be one! ‘pinnin washer mummeee! 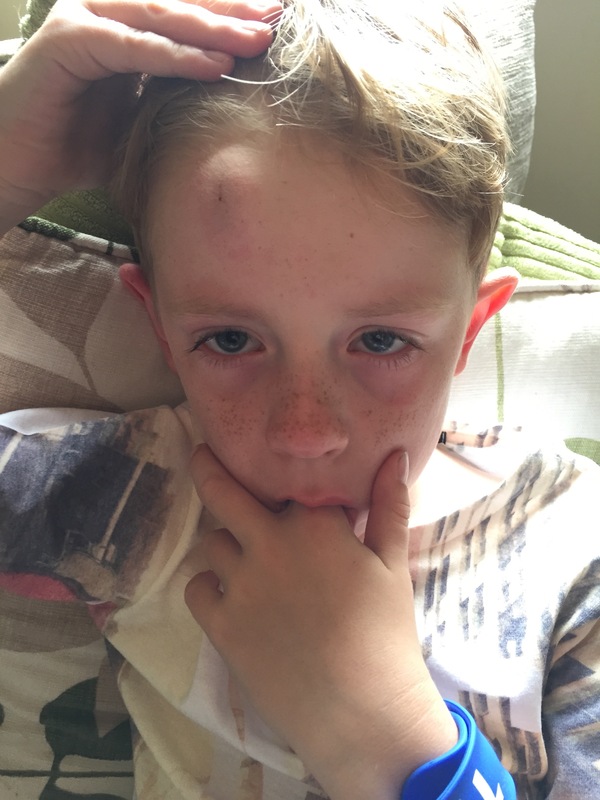 Sam learnt a valuable lesson this week: when standing up near our back door (which has a window in the top that opens – barn door style I think it’s called) always check to see if it open. One thing that hasn’t changed here is my obsession with nail varnishes. I have a ridiculous amount, 80? 90? I’ve lost count. I have 2 holders of 30-35 each, some on the shelf and a make up box full. I’m loving neons at the moments. Mainly neon corals, reds and oranges but I’m trying something new. 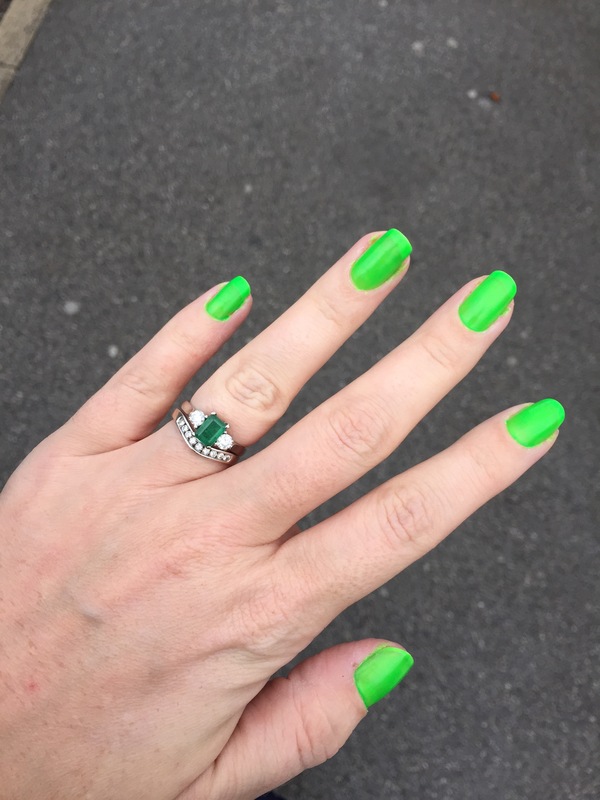 Neon green. I’m not convinced but no one will lose me when wearing this one! It’s a semi matte finish which I like but I needed 3 coats rather than the 2 shown here. It’s best in natural light, in artificial light it looks a bit, well toxic! Definitely not as nice as when you’re outside. Maybe one for a pedi on holiday. So life happened. An almost full time job, two children, one husband. The blog didn’t get a look in. I’ve spent most evenings sitting in front of the TV with the iPad wondering where the hours have gone and creating blog posts in my mind, knowing full well I couldn’t be bothered to post them. Blogging got weird. Brands got involved, people got competitive. Blogs I used to love reading were sponsored post after sponsored post after review. 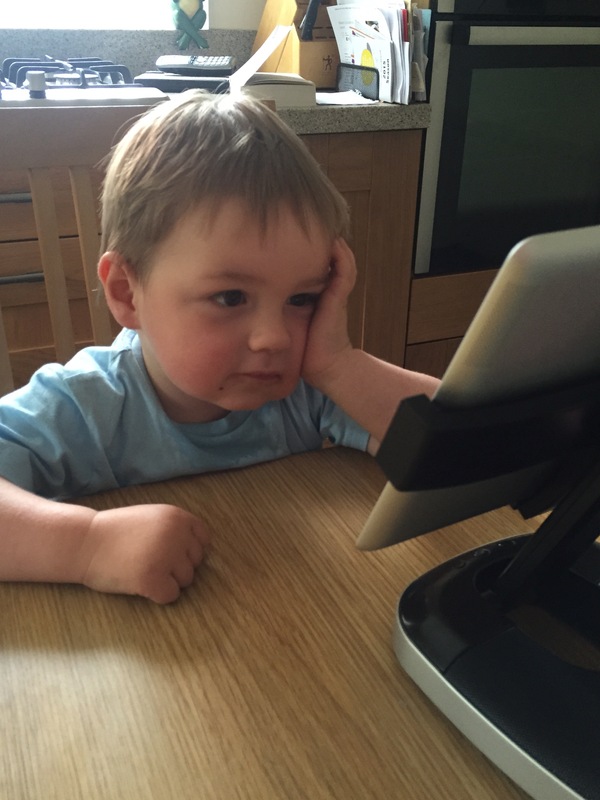 I read comments slating other bloggers who had been given fantastic holidays when they hadn’t. I actually read someone’s rant on how come they were pregnant and hadn’t been given a free pram when others had. It was nasty & bitchy and I completely removed myself from the social media side of it. I’ve kept in touch with bloggers who are also my friends and whose blogs I actually enjoy. I still read blogs every night before bed but they tend to be plus size fashion, beauty and nail bloggers. I just didn’t want to get back into blogging again. Last night though I was doing some Facebook stalking (as we all do) and saw a comment from a blogger I used to read 5 or 6 years ago. I clicked through to her blog & saw a comment from another blogger who, the last I read, hadn’t posted since 2011. I loved her blog back then. 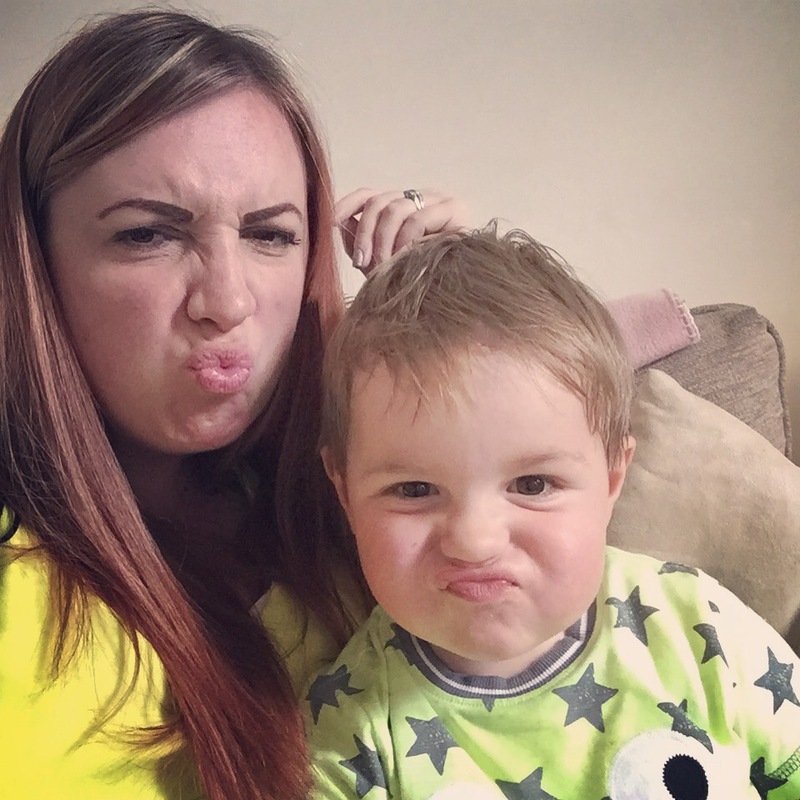 Funny, witty & insightful posts about life and her family. No sponsored posts, no reviews. Just a normal blog. I used to comment on hers, she commented on mine. And then she was gone! But now she’s back! (Hi Mwa!) She’s been posting since March and I didn’t know. Tonight I’m getting a bottle of wine and will catch up. She’s inspired me to get back to this. To record parts of our life again. 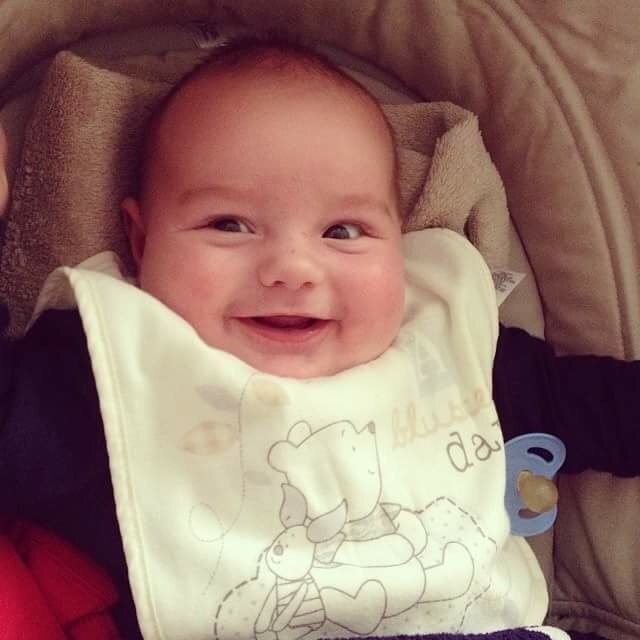 I look back at the blog when I first started it and I love the stories about baby Sam. I want those memories of Finn too. The funny things he says and does. How he doesn’t call Sam, Sam but ‘brubber’ (brother). How everything is ‘mine’ and ‘why’ is his favourite word. His little voice that says ‘no ankoo mummeee’ when I say it’s time for bed. That’s what blogging is for me. 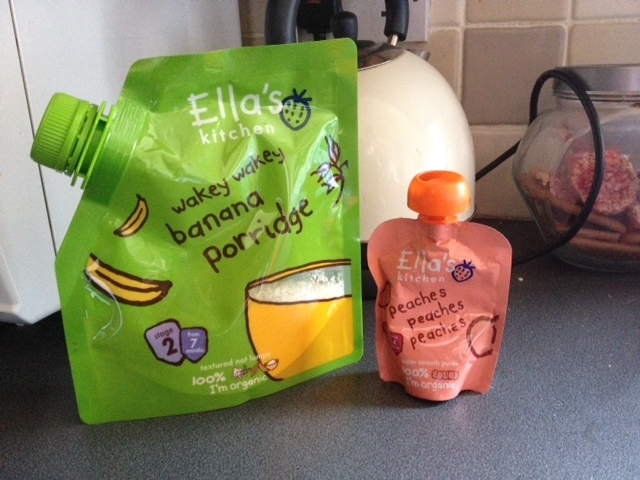 Ella’s Kitchen are our go to brand for baby food and have been since Finn started weaning. I love their philosophy of natural ingredients that are simply cooked. No fuss, no faff. We started weaning at 4 months when we just couldn’t keep up with Finn’s appetite. He’d breastfeed then bottle feed a ridiculous amount. He could take 2 breastfeeds and 15 ounces of milk in a couple of hours. 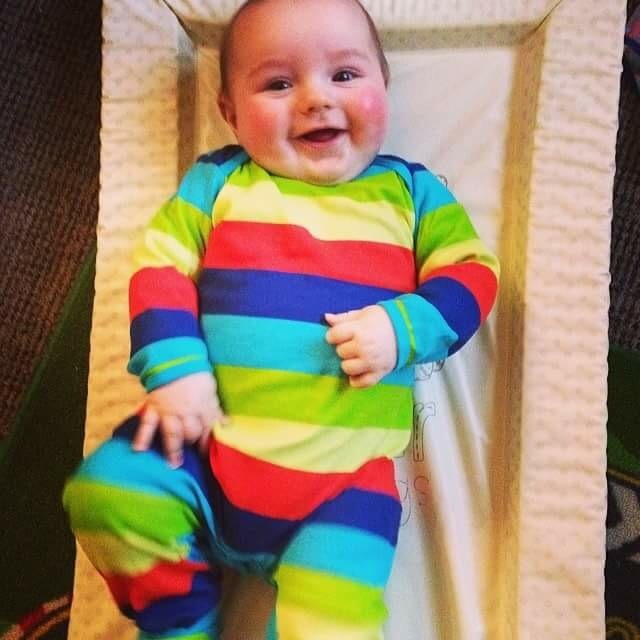 Within a couple of days of baby rice, he was a much happier and settled baby. I cooked a lot of fruit and veg over the next few weeks but I didn’t always have the time to prepare every meal – especially now that I am back at work (quite evidently I don’t even have time to blog anymore!). Ella’s Kitchen products, therefore, are always in my cupboard. 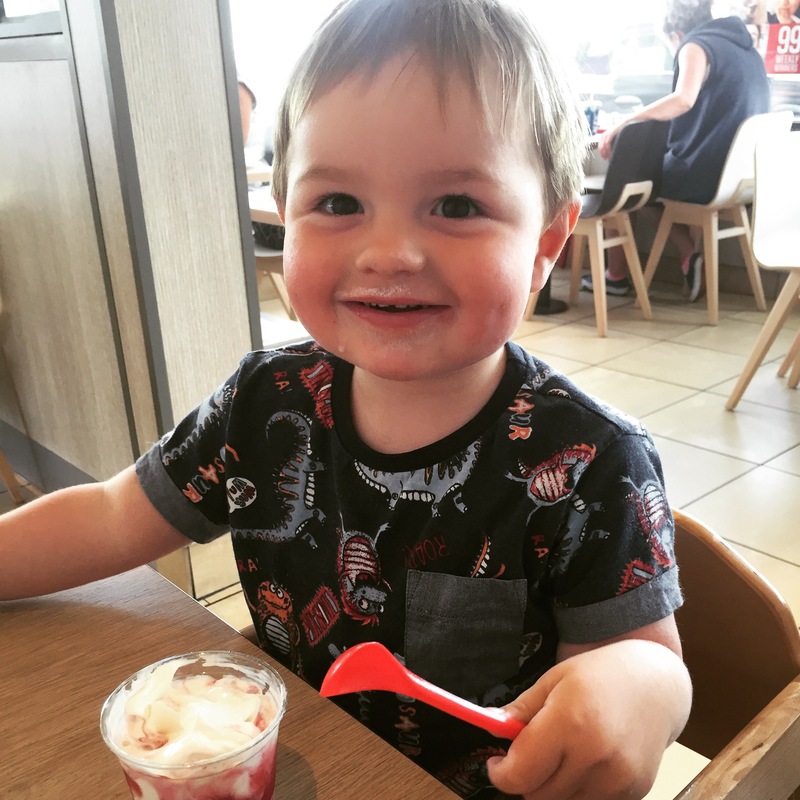 They have launched a new digital weaning guide that is downloadable in order to help parents embarking on any stage of the weaning process. I love anything that helps me get my head around this nerve-wracking and confusing time so I have been using it loads! 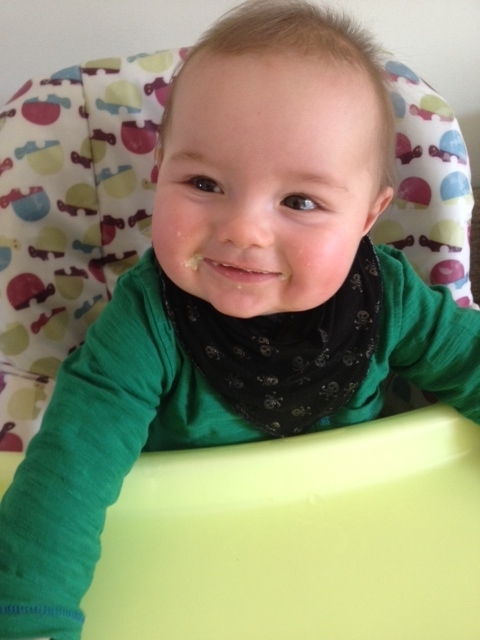 Finn is 8 months now so we’re quite far into the weaning process, stage 2 in fact but I still use the guide even now. For example, I couldn’t remember what he was allowed now – eggs? dairy? meat & fish? but there is a while wealth of information that has helped me to develop a menu of sorts for Finn. 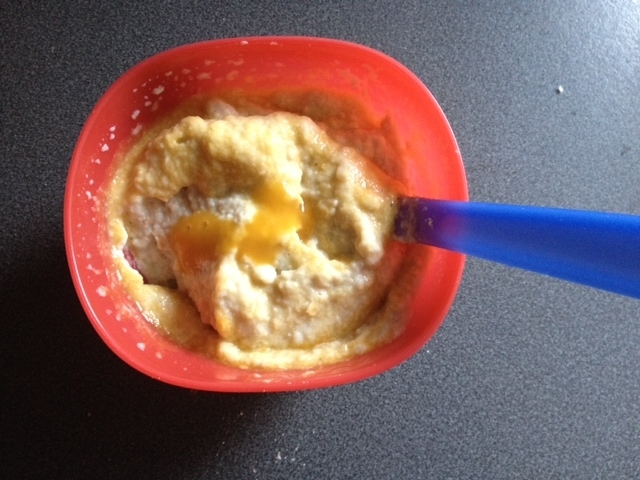 Breakfast: Ella’s Kitchen porridge (banana or strawberry, mango & banana – anything else will be spat out) with fruit puree. We were sent some of the new range from Ella’s Kitchen which are suitable for first tastes from 4 months but I still like to use them now as a topping for his porridge. Snack: Ella’s Kitchen puffits, the raspberry & vanilla one. I’ve never been sent these, I buy them myself & Finn loves them. I was initially worried about him choking on them but they almost dissolve in his mouth so he’s fine gumming them. Lunch – Pasta. I sometimes make my own pasta sauce for Finn but when I don’t have the time we use the first tastes vegetable pouches. He likes the sweet potato one best. Again, not the traditional way of using it but I like the consistency of it for pasta and Finn loves it too. Dinner: Whatever is around & quick as tea time is manic! Craig’s on his own most tea times and has to feed Sam as well. Quite often we will use pouches, especially if I’ve forgotten to pull something out of the freezer the night before. Judge away at us using ready made food – I’m happy and confident in the products we use (yes I genuinely do use and spend my own money on Ella’s Kitchen products as I believe they are the best on the market) and we both work so have limited time to spend in the kitchen. As Finn grows he’ll be eating more what we eat which will be better. At the moment I kind of forget to portion up our food before seasoning it and adding half a tonne of chilli powder! I’m getting better though. Finn does love curried lentils. Drinks: He only had 2 bottles a day now, morning and night. Water with all meals and snacks. I despise juice for babies. Despise it. I have just noticed that there are biscuits in the Ella’s Kitchen range that I haven’t seen stocked at our local Asda. Think I’ll go hunting for them this weekend. Like his Mum, Finn does love a nice biscuit! If you want to check out the weaning guide head over to the Ella’s Kitchen website. As a regular user (even before it was pointed out to me) I definitely recommend it. 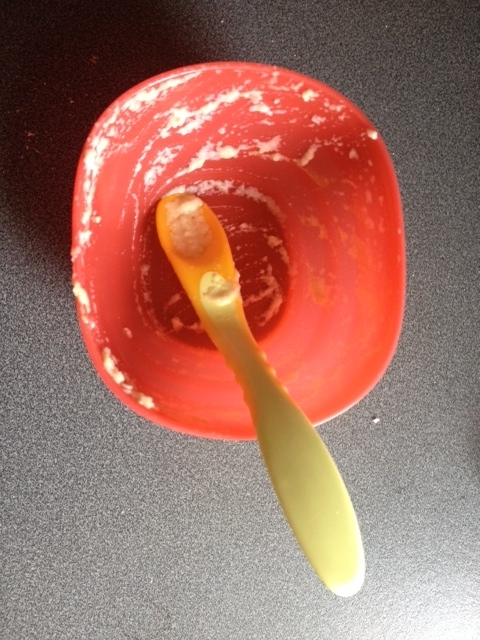 Disclosure: I was sent 4 pouches of the new first tastes range to try & the cutest weaning spoon you ever did see. I wasn’t told what to write. I would like to say though that I honestly buy Ella’s Kitchen products above all others. 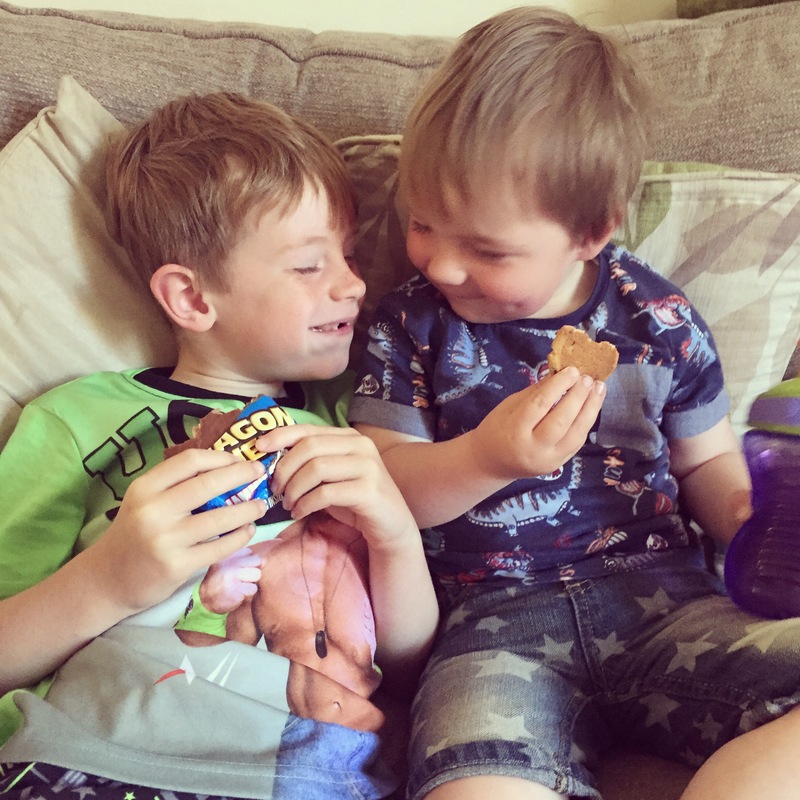 Finn loves them, I love their ethos & they are reasonably priced – especially when on offer at Asda. If it’s not Finn who’s up at the arse crack of dawn then it’s Sam. There’s some sort of brotherly conspiracy to ensure I have 6 hours or less of sleep. Last night: 5 hours. I’m exhausted. Especially as I’m back at work now, but that’s a whole different post I’ve not had time to write yet. We’re using the time productively this morning though. Finn’s whizzing around in his walker looking for yet more food whilst Sam & I discuss life. Me: What do you want to do as a job when you get older? Sam: The housework. I’ll wash up and clean the clothes all the time. Me: Do you think you’ll get married? Me: Anyone. It could be someone you know now or someone you meet when you’re older. Sam: I already know who I’m going to marry. Cinderella! Me: And will you & Cinderella have children? Sam: Yes. And I’ll kiss them on the nose and tell them I love them. Then I’ll kiss Cinderella! *collapses into giggles* I’ll kiss a girl!! The other day I posted about the Negotiation Academy from webuyanycar.com that I attended last month. 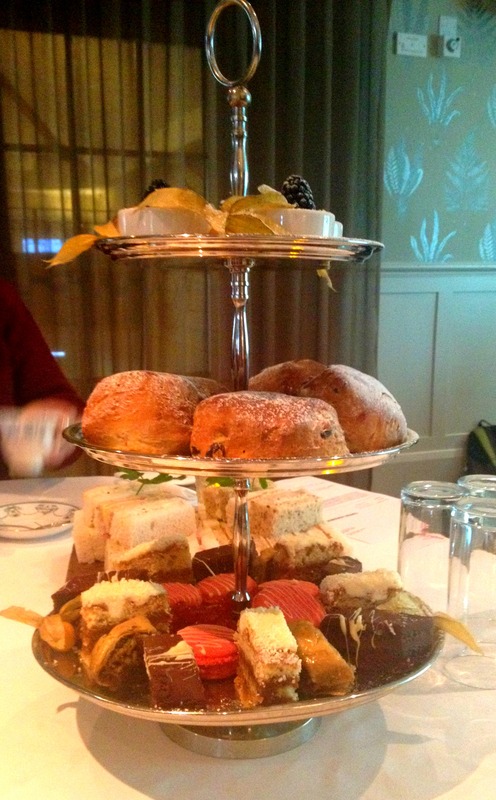 As well as having a delicious afternoon tea (diet be damned!) we were also treated to some fascinating talks and information from the panel of experts who appear on the online academy . Financial expert Martin Chrimes discussed the purchasing of the big items in life – houses, cars etc. 1. Lay the foundations: decide what your budget is. Be sensible and only decide on what you can afford. Think about how the costs per month (if relevant) will affect your finances. 2. Beware if you are borrowing money to fund your purchase. Research the options available to you. In many cases financing is better arranged elsewhere. For example, if buying a car the finance they offer you will often be at a higher interest rate than with a bank. An added advantage to this is, if you have the money ready and don’t need to accept their financing, you are in a better position to negotiate. 3. Do your homework. Know what you can get for your money elsewhere. Research is so easy online nowadays. If you are looking for a house then you can check Right Move; for cars, Autotrader. Also, know the product you are purchasing. 4. When you find what you want don’t seem too eager. Be calm and collected. 5. When making your move, do it on your terms. Don’t listen to any sob stories the seller may give you ‘I need to hit my targets or I won’t get my bonus and my kids can’t have a bike for Christmas’ etc. Halve the initial offer and go from there. 6. Remember – you can always walk away! There will always be another car or another house. Don’t blow the budget to ‘save face’ or because you have invested time in it. If you do, it could have serious repercussions for years to come. You need to love your big purchases, be it a house, a car or a holiday. Good luck if you’re planning on negotiating! Pop along to the Negotiation Academy for more hints and tips. If it saves you money, let me know! As any regular readers will know, I’m permanently on a quest to find the right diet for me. I’ve tried all sorts and so far, I’m still fat. Ace. When Finn was 8 weeks old my Mum decided to join Slimming World & asked if I wanted to go with her. Because it was spur of the moment decision I didn’t have time to over complicate things and just popped along to see more about it. Instant love! The plan seemed easy to follow, workable and proven. Why not, I gave it a shot. After I had Sam it took me 11 months and an extreme meal replacement diet to get out of my maternity clothes. During that pregnancy I had eaten like a pig and piled on a good few stone. With Finn though I was more careful. In the end I put on about 1.5 stone and that came off within the first 3 weeks. 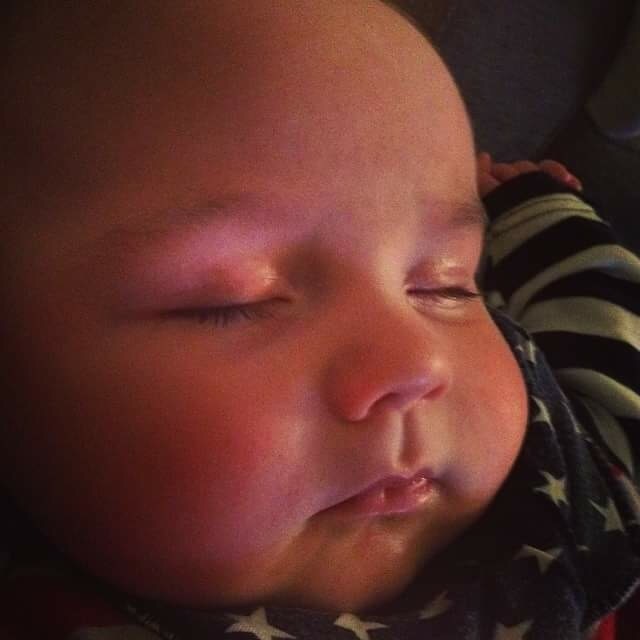 I lost another half a stone or so (go breast feeding!) in the month after that. I felt much better but I was still 6 stone overweight! I joined Slimming World. Things have really fallen into place over the last few months. Want to see how well? As of today I’m 3lbs away from getting my 2 stone award. 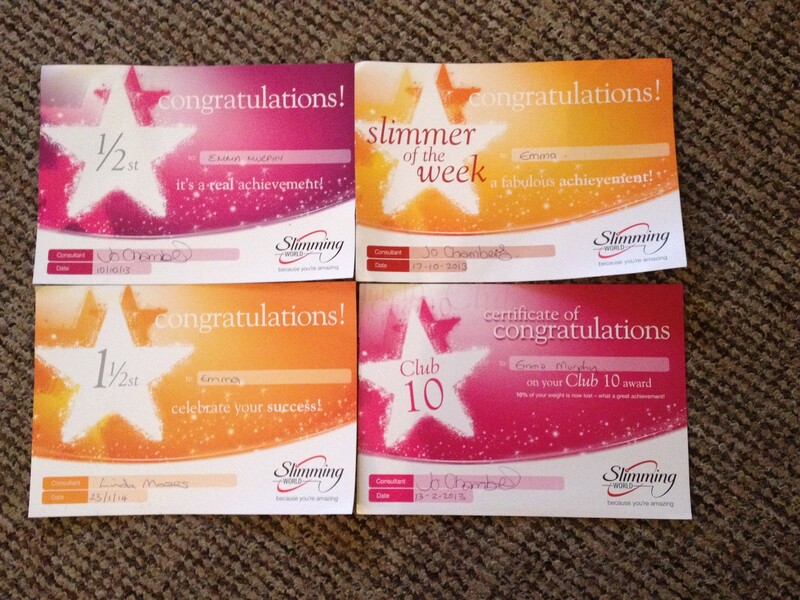 Last week I got my Club 10 after losing 10% of my body weight! That was a big moment. I still have a long, long way to go (I want to lose a total of 6 stone) but I finally feel it’s achievable. Motivating me at the moment are a huge number of Instagrammers and a surprisingly high number of Slimming World bloggers. I can’t believe how many there are! To keep me motivated I’ll be trying to update my journey here every week. I’ll also be posting one of my favourite recipes of the week. Hopefully I can keep on track and finally lose all this weight that has been dragging me down for so many years! I’m gutted that I’ll be leaving my usual weigh in group this week. I normally attend on a Thursday morning with my Mum but with returning to work next week I can’t. Devastated. I’ll be heading to a new class next Thursday in the evening, hopefully with a friend who I’ll not name yet in case she doesn’t want people to know. I always find attending groups with friends helps – there’s that bit more motivation to do well. Any tips on how to stay on the straight & narrow? Have you done SW before? 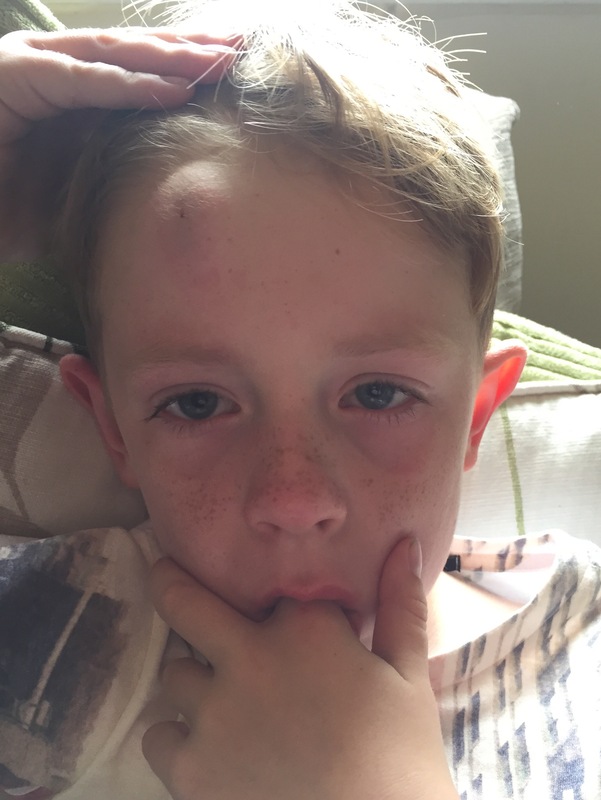 Any advice would be greatly received! Last month I was lucky enough to attend a Negotiation Academy run by webuyanycar.com. They have set up this online academy to help everyone get not only the best deal on a new car, but also arm us with skills for negotiating in any purchasing situation, how to shop for the best deal, how to get the most for your money and how to spot those little ‘dodgy’ deals that a garage can sometimes pull. The experts who appear on the website and give advice were on hand to talk us through these skills and honestly, it was an eye opener! I am not a natural bargainer. I want to please people, I want them to like me, I want to appear affluent and I don’t want to look stupid. Pretty ridiculous when you think you will (most likely) never see these people again. What resonated with me most from the day was the talk from social psychologist, Dr Sandi Mann. She queried why I felt it was ok to haggle abroad (say in Egypt where I have been pretty successful at getting what I want for a bargain price) and not here? I don’t know! I have no idea what makes it so different but, armed with extensive notes, I will definitely be haggling for my next major purchase. To give you a very quick overview for how to be confident during negotiations, and these can mean in any situation, not just purchasing something – so possibly getting that pay rise that is long overdue? A promotion? Negotiating salary when offered a new role? These tips can help you get what you deserve. 1. Ask for what you want with authority and confidence. No one is going to negotiate with someone who looks worried, embarrassed, ill at ease or who is umming and ahhing. If you do that, they’ll know you don’t really mean it and they will get what they want. Not your ideal outcome. 2. Use your body language as a tool. Engage with the person, subtly mirror their body language. Nod, make eye contact, lean in towards them (not too close, you don’t want to make them uncomfortable!). 3. Use silence as your friend. If you’re anything like me then you will wiffle waffle like mad to fill a silence. Seriously, I have a problem. This can work completely against you in a negotiation situation. Explain what you want, sit back, embrace the silence and wait for them to come back with an answer. Don’t say ‘I want this’. (silence) ‘Well maybe I could go for this’ (silence) ‘Or even this’. Before you know, they’ve brought you down without even saying a word. I’ve not shared everything with you – there is much more fantastic information and advice on the website. Head over, learn, use it, rejoice & save money! Happy days! 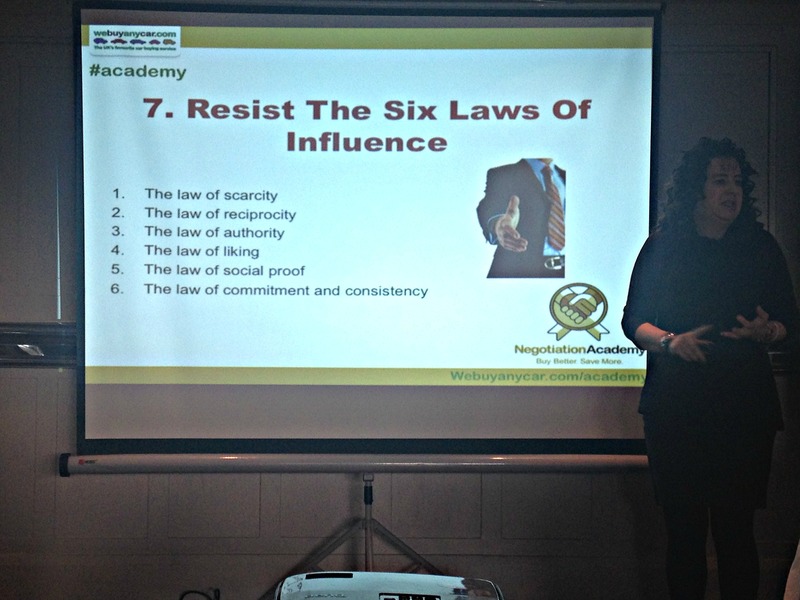 I’ll be back later in the week with more top tips from the Negotiation Academy. I grew me a muscle!